Urticaria (Hives) is a severe skin disease that can cause physical and emotional stress to a person. It is represented by severe itching and rashes on skin. It can affect any person at any age and at any time. However, more often the symptoms of urticaria (itching and rashes) show up in the evening or in the early morning. Itching is worst at night, which interferes with sleeping. Urticaria is broadly classified as ‘acute urticaria’ and ‘chronic urticaria’ depending on the duration for which rashes are present. Acute urticaria lasts for less than one and a half months or 6 weeks. Chronic urticaria lasts for more than 6 weeks. Mostly children and young adults suffer from acute urticaria. Most of such urticaria episodes are idiopathic ( whose cause is not known). If somehow the cause of acute hives is revealed it turns out to be an infection, food or drug allergy, or an insect sting. Usually acute hives do not require typical treatment and is cured on its own. The symptoms of chronic urticaria occur at least twice a week and can occur daily too. It is present for more than 6 week. Chronic urticaria requires long treatments. It occurs more often in middle-aged women and rarely occurs in children. The causes of chronic urticaria may be similar to those of acute urticaria. There can be some additional causes too including autoimmune diseases, chronic infections, and one or combined physical urticarias. People having chronic urticaria suffer the most. All the forms of Chronic Urticaria are described below. 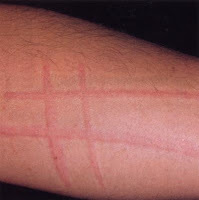 Dermatographism: Dermatographism means the ability to write on skin. People having this type of chronic urticaria are ultra sensitive to touch, pressure and scratching. 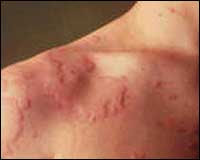 The areas of skin that are touched or scratched get a raised, red and itchy rash. Although in all the types of chronic urticaria, there are present some features of dermatographism, people with actual dermatographism have pressure as the only trigger for their symptoms. In some types of dermatographism, symptoms can be seen after within a few minutes of stroking the skin with an object like pen or pencil. The rashes that occur go without treatment within an hour. In other forms of dermatographism (delayed pressure urticaria), symptoms can remain for long hours accompanied with burning sensation and pain. Cholinergic Urticaria: Cholinergic, also known as heat urticaria, is caused by an increase in body temperature by any means incluing hot showers, exercise, spicy foods, or being under too many covers in bed at night. Sometimes strong emotions may also cause cholinergic urticaria. 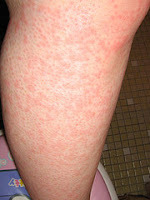 Initially, the hives are very small in size ( like mosquito bites) which may become larger over time. More severe symptoms like asthmatic symptoms and low blood pressure are also seen in some patients. Some people appear to have an allergy to their own sweat too. Cold Urticaria: Cold urticaria is characterized by hives and swelling due to exposure to cold environment or element including cold weather, cold food and drinks, or even swimming in cold water. Apart from itching and rashes, some people having this type of chronic urticaria sometimes experience life-threatening anaphylaxis with aquatic activities involving cold water. Other causes may include medical problems like infections, autoimmune diseases, certain cancers, and side effects from certain medications. Sometimes, cold urticaria is genetic and runs in families. Solar Urticaria: Sun rashes are caused due to the exposure to sunlight. Sometimes, the symptoms are confused with sunburn. Solar urticaria may occur within minutes of exposure to the sun, and can easily go away after one hides from sun. It is very likely that people with solar urticaria make allergic antibodies against various proteins present in their own skin. 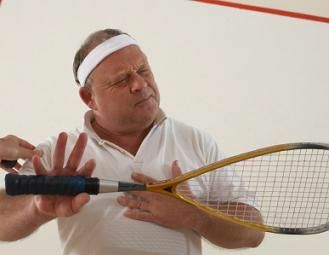 Exercise-Induced Anaphylaxis (EIA): It is a severe type of allergic reaction which involves two or more body systems, for example, hives and difficulty in breathing. This chronic urticaria is caused by exercise-jogging, tennis, swimming, walking, or any other strenuous work . 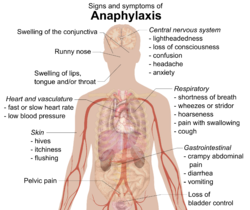 Apart from hives, some people may also experience symptoms of severe allergic reaction, called anaphylaxis which involves breathing difficulties (shortness of breath, wheezing like those experienced in bronchial asthma), circulatory problems (lightheadedness, low blood pressure) and gastrointestinal symptoms (nausea, vomiting and diarrhea). Symptoms, includings tiredness, warmth, itching and redness, may show within a few minutes of starting exercise. If exercise continues, it may result into swelling of face, lips, eyes and throat (a condition called angioedema), and ultimately anaphylaxis. In some cases, other triggers certain medications- aspirin, ibuprofen and other non-steroidal anti-inflammatory drugs (NSAIDs), foods, alcohol, cold weather, and menstruation may also cause EIA. Prevention seems to be the only way to cure urticaria. Prevention of EIA symptoms is the most important goal of treatment. People with EIA should avoid exercising alone, or in cold weather. Exercising on an empty stomach and avoiding the causative food, if recognized, at least 24 hours before exercise may help. In addition, avoidance of NSAIDs and alcoholic beverages for 24 hours prior to exercise is also recommended for such patients. Women should always avoid exercising during their menstrual period. Vegetal Placenta- New Anti Aging Treatment!